Are you energetic and encouraging with a heart for youth? Do you have administrative, marketing and communications skills? Do you love the outdoor setting? Do you love people? 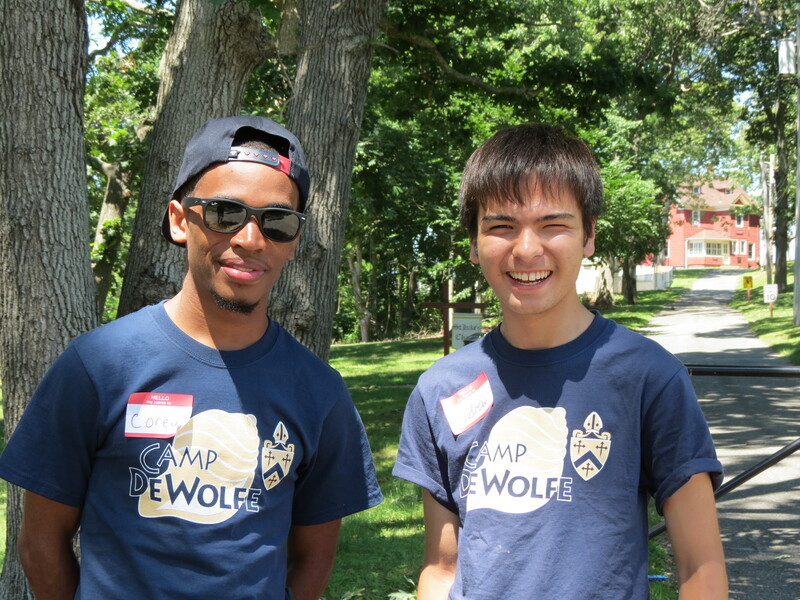 Join the Camp DeWolfe team and apply to become an Intern today! Camp DeWolfe Interns serve for approx 20 hours per week (flexible) during Retreat Season Office hours of Wednesday – Sunday 9am – 4pm or Summer Camp Season Office hours of Monday – Friday 9am – 5pm. Opportunities to gain credit for your degree or earn some cash while gaining valuable experience in a non-profit ministry. • Create a safe, inspiring and wholesome camp program and retreat ministry for both youth and adults that conveys the inclusive love and acceptance of God for all people and Christian values as expressed in the Episcopal tradition. Plan, direct, implement and supervise the Adventure Challenge Program. Coordinate, design and facilitates year-round retreat and hospitality ministry and programs for all guests. • Marketing duties including to create and distribute brochures and marketing materials for summer camp & retreat ministries. • Administration duties including mail collecting, answering phone, writing thank you letters, filing, monthly camper mailings and seasonal donor/alumni mailings. • Register retreat groups and campers using Camp Brain software. • Work with Food Service Manager to coordinate meals and food service bookings for retreat groups. • Update the Camp website, blog, social media platforms and e-newsletters. • Coordinate volunteer projects and Service Saturdays and community projects. • Develop and manage programs in the retreat season. Facilitate and develop use of the camp by outside groups throughout the year. • Weekly housekeeping projects and duties, prior to group arrival and after group departures. • Welcome and providing orientations for retreat groups and retreat hosting throughout their stay. • Coordinate and facilitate the Challenge Course program – inspections, equipment, set-up, safety checks, records, rules, evaluations, policies and trainings. • Develop and plan the Winter and Summer Camp Programs with direction from Executive Director. Develop a daily and weekly schedule including the special activities of the camp. Responsible for the day to day functioning of program activities in the school year. • Responsible for ordering and administration of camp and retreat supplies for all programs. • In keeping with the Community Covenant Policies, Interns are expected to lead and maintain a positive, safe, nurturing environment, free of bullying and free of all inappropriate physical contact. • Act as a role model in all areas, and in particular, help to foster Christian community. • Set a good example for all staff and guests, including appropriate language and dress, punctuality, the sharing of clean-up and other chores, compliance with the ban of use of tobacco products, alcohol and drugs, and display of good sportsmanship and proper table manners. • Encourage respect for all other persons, the personal property of others, all camp property, equipment and facilities. Promote good public relations with campers’ parents and visitors. • Any additional duties or tasks, going above and beyond to make sure campers, retreat guests and staff have a safe and positive experience at Camp DeWolfe. • At least 19 years of age. • Completed 1 year of college minimum. • 2 years youth work or camp ministry experience. • Ability to work independently, efficiently, and professionally, without supervision. • Organizational skills, good time management skills and ability to take initiative are essential. • Training and experience in Adventure Challenge Facilitation.